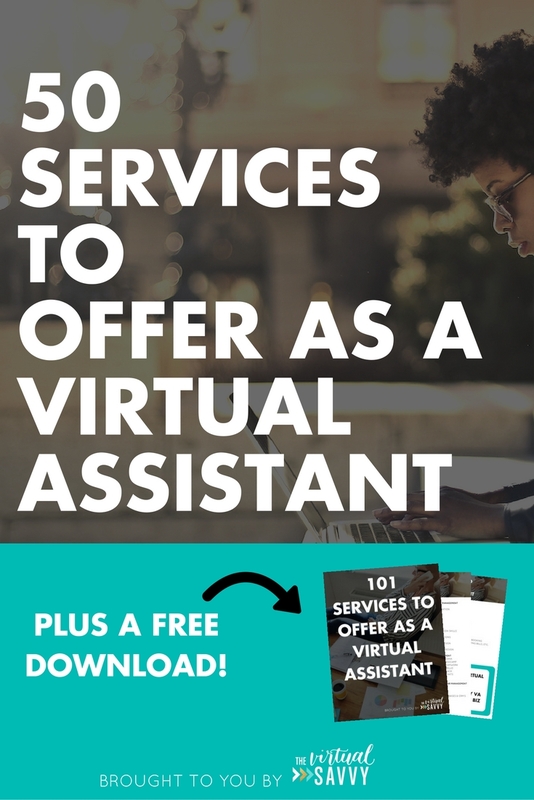 Do you know what services you can offer as a virtual assistant? Just the other day I got offered a gig to be a ghostwriter for a big-name blogger (eek!). Not only will my writing be published in front of some major audiences (I’m talking 10,000+ views a DAY), this opportunity was given to me by one of the bloggers I had been following since I started in the online business space. Seriously, who can say that they can travel the world, have the freedom to spend with their family, all while doing exciting work for people you’ve dreamed of working for? It’s why I get so stinkin’ frustrated when I see people stuck in dead-end jobs that eat them up inside each day. Why spend your life at a job that you hate? If you have a special talent or skill, why not offer it as a service? Why not spend time doing something that you actually LOVE for a living? When I was first starting out as a Virtual Assistant, all the information online seemed like a cluster bomb to dig through and figure out what I should be focusing on. That’s why I created this blog – it’s my goal to help aspiring and start-up Virtual Assistants get their business up and running with ease. I want you to be able to turn your talents into a money-making, at-home business. A Virtual Assistant (VA) is NOT just an “online secretary”. YOU have a skill to offer (or at least a skill you can learn!). A VA business is simply your way of showcasing your skills online. It’s your job as a VA is to take off some of the big (or small) tasks of other entrepreneurs/businesses. Virtual Assistant is a broad term that can cover a myriad of tasks. That’s where the confusion usually lies. Of course, you can’t learn EVERYTHING. If you try to be a jack of all trades, you’ll end up being a master of none. As you begin to decide on the tasks that you WILL want to offer – you may change your title from VA to something more specific to what you do. In general, the term “Virtual Assistant” is what people end up asking for and searching for, even if they really want a specialist in a particular area. It’s the term that they understand. So, even if you choose to change your name to a more “specialist” term – don’t forget to respond to and search for clients looking for a “VA”. If you are clear about what you DO and the clients that you SERVE – it doesn’t really matter what you call yourself! Let’s talk about what you can DO as a Virtual Assistant (aka – the services you can provide). HOW DO I CHOOSE WHAT SERVICES I SHOULD OFFER? Below, you will find a comprehensive list of services that you can offer as a Virtual Assistant. How you choose which services to focus on is entirely up to you. Now – go through and rate each service, based off of the factors above. Pull out your top 5 – 10 services. What do you think of them? Do they get you excited? Do they “flow together” in a way that could make great packages? Any ONE of these services could be made into a business. You could become the expert at that ONE THING and be the “go-to” person for that skill. Kathryn Moorehouse is the Pinterest QUEEN. I can say this because she helped me grow the blog traffic on this site exponentially. She took one specific skill, became an expert at it, and now features that as her main and ONLY service. You can combine TWO – TEN services, all that have a common feature and create packages around those. This will define a niche for you. Chantal from Confident Collaborations is a Virtual Assistant with a few very powerful skills – so these are the services she lists on her website. She is able to offer very specific skills and packages to her clients. 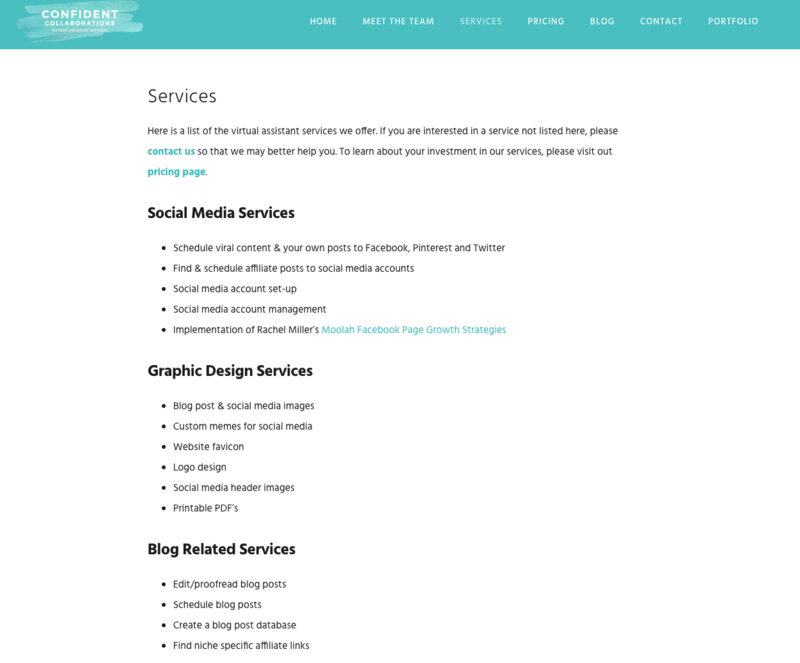 You can combine TEN OR MORE of these services and list them as a List of Services on your website, and offer general VA work with these skills as your showcased features. Studio Eighteen Virtual Assistance helps entrepreneurs with a myriad of tasks, all listed on their website. As a generalist, when asked the question, “Can you do ____” the answer can almost always be, “Yes, I can!”. Lastly, you can combine any of these methods (by being a generalist or a specialist) and choose to offer them to a specific niche (online creatives, real estate agents, health and fitness gurus, photographers, etc.). 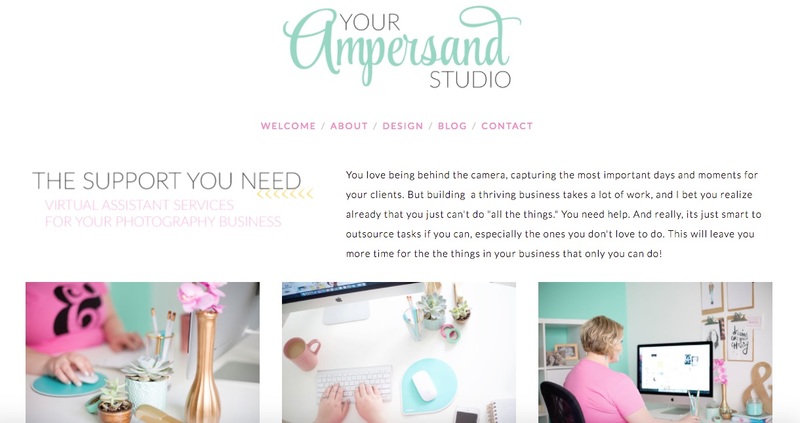 Your Ampersand is a niche-specific VA business, exclusively for photographers. Shaina (the owner) took her interests (photography) and made specific packages that will appeal to those in the photography industry. There are 1000’s of services that could be made into an online business. Whether you choose two or twenty of these services, all present a unique opportunity to build a VA / Freelancing business around. 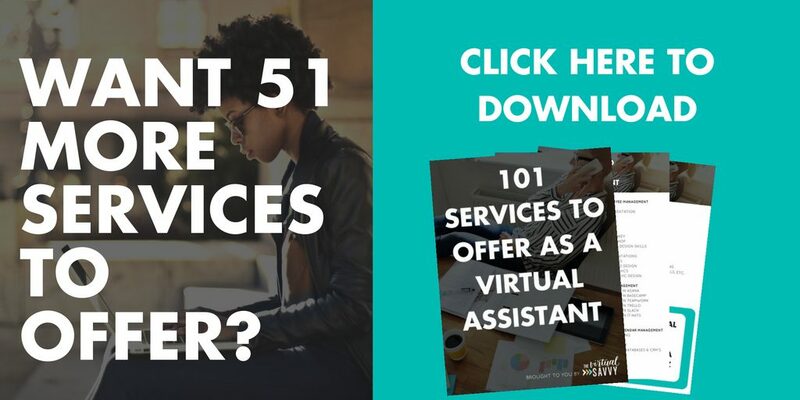 If you want full access to all 101 Services You can offer as a Virtual Assistant, click here. What skills do you offer as a virtual assistant? Do you consider yourself a specialist or a generalist? Remember, there is no wrong answer here. If marketed correctly, any singular skill or a combination of skills can be made into a profitable online business. It’s all about deciding on what YOU enjoy doing and having a PLAN IN PLACE to get clients! I am certainly a techie VA who now also specialises in Pinterest account management (I took a Pinterest VA course). 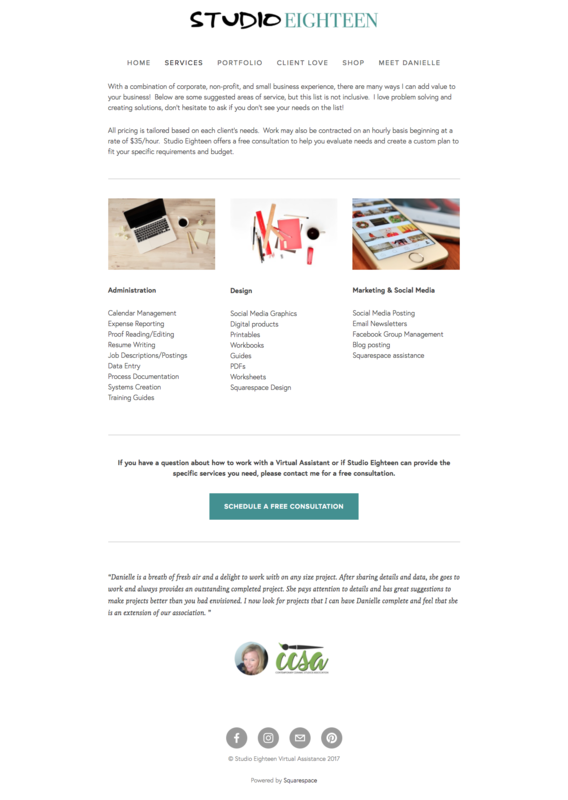 I offer email list creation and management, web design and management, content editing and proofreading and of course Pinterest management. I love all of these processes and I love improving entrepreneur’s and blogger’s online presence with my skills and experience. I am always learning, in fact I think I spend the majority of my time reading blog posts like this one to learn more every day! This is why being a VA is so amazing! You can choose what you want to provide. Love it! I’m just beginning to look into becoming a Virtual Assistant but I would be a specialist. I would do more content creation of various kinds, editing/proofreading, transcription, data entry, research, etc. My specialties lie in writing and creating content. If it weren’t for realizing that some VA’s do that sort of thing, I wouldn’t have even started looking into it. However, I feel this would be a great way to do the parts of blogging and business that I really enjoy, or to expand on them. That is one of the benefits of being a VA. You can always find a special niche, gain new skills and drop services that you no longer want to offer. This is a very helpful read. I’m currently helping someone who is starting a VA company, and your rating system for skills and services is a brilliant idea. I’ll definitely be recommending it. Thank you. Kerry, thank you for recommending this post! I have been blogging about simple living and minimalism for more than 5 years and that has set the tone for my VA work, which is mainly in the green lifestyle and eco-friendly niche – anything from content creation to copywriting, voice overs to social media marketing. I am fairly new the trade, but loving it so far! That is such an interesting and fulfilling niche! The free download is such a great list! On my own I thought of only 2 or 3 services but with your resource I’ve made a list of at least 10 services! Thank you! Thanks for a great article. Very informative. Also love the download you offer with the guideline of getting started. I have been a project manager for over 30 years in the creative industries and have managed to transfer my skills into the virtual arena. I only started this year but have been securing jobs from various job boards already. Besides having a web page or site to promote yourself I think making sure your profile on any given job board is up to date and 100% completed is a deal breaker! Yes! Having your profile up to date is so important! Thank you so much for sharing! Thanks for this Abbey! It was very informative.I just realised there are some skills I could offer that I didn’t think about before.Your post just pointed them out to me! Am excited for my success already because I know I am going to conquer.Am new to being a VA you know. That is so awesome to hear! Congrats! This is brillant and endorses the fact that I love building and managing their CRM’s for them – I love insightly and so recommend these to all my clients. So thanks for all the ideas as it has given em something else to think about and add to my marketing plan! We’re so glad you liked it! I love insightly too! So many great CRM’s out there! Well, I just realized that I can give 5 stars to myself for 5 of these services covering content creation, blog management, Social Media graphics, Scheduling Social Media, Ghostwriting, Content Creation for online courses. WHOAA! I never knew it! 😀 Thanks, Abbey, you’re awesome! Hi Abby! Thank you for this amazing and informative post! I am actually a legal assistant for a criminal defense firm but am thinking of branching out into VA. I have no idea how to start or if there even is a niche for the legal field. Any suggestions? Hi Jessica, There definitely is a niche for the legal field. 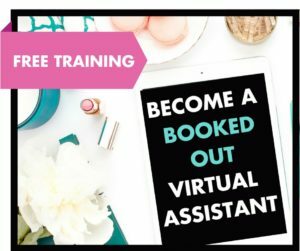 To get started, I would recommend that you join our free FB group, Virtual Assistant Savvies, and/or you can join our course The VA Bootcamp, where we teach our students everything they need to know to start a VA biz from scratch. Welcome to the exciting world of virtual assistance! I am just starting out and a dear friend directed me to this wonderful resource base. It’s a little overwhelming how much information there is and so much I need to learn. This list has set me on the right mental path. Thanks a mil @Abbey Ashley. Only thing is I didn’t get the download with the full list after putting my email. Can you direct me to where else I may source it please? Many thanks and keep up the great work. Very informative article. Thanks for the insight. Thank you so much for the kind words Abigail! I’m glad you found my content helpful! Hi, Abbey! Great post and freebies! I have been working for a CEO of a small startup as, what I think would be considered, a Generalist VA. I manage her Private Facebook Community and Support Email box, create training and business content, marketing content, write recipes (it is a healthy cooking business), create graphics, write blog content, answer chats, schedule Facebook posts and share to her public page, as well as many other things. I have been doing this for about 3 years. I love working with her, she is my ideal client and I am ready to find some clones of her but not sure how to make that clear on my website. Saying “women small business owners” seems too broad. I will definitely review and rate my skills to see if I can refine my offerings a bit but would love to know your thoughts on how specific you should be in regards to your ideal client. This post very useful and very informative news was sharing to my futures. I’m glad you found it helpful William! This is a great list and the examples are pretty awesome. I started out years ago as a general VA, but found my niche in transcription work and transitioned to make that the only service I offer. I want to get started it am hesitant due to health problem. I do not understand blogging. I am in my late 60s but really would love doing things like data entry and transcription. I am a paralegal specializing in probate and trust. I don’t know if that is something usable or not. Thank you for your knowledge and guidance. Data entry and transcription are definitely services that are virtually needed. If you are familiar with online systems this would be a great path to consider. If you are unfamiliar with the online space and systems, you may want to look into providing these services to local offices in a remote capacity. Thank you for sharing such an informative post. Virtual assistants perform many tasks like web design, web development, admin assistant, personal assistant services, document sharing, appointment scheduling service, social media assistant, content marketing services and many more. OMG… I’m turning 6.0 (60) soon and I’m so excited to start semi-retirement with all the skills and experiences I’ve acquired in advertising and marketing. I plan to be a generalist (Marketing, Social Media, Design + Content) and want to add my app design skills for small businesses to my portfolio.